Bowlers, Bergères, berets and beyond, this is the ultimate guide to hats through history. From the lavish fashion hats of Marie Antoinette's court to the experimental millinery of Stephen Jones and Philip Treacy, Hats takes us on a beautifully illustrated journey through class conflict, gendered etiquette and national allegiances to reveal the complex cultures from which each style emerged. Unlike any other element of dress, hats are able to confer a certain presence on the wearer, whilst working to a seemingly arcane system of codes that govern our behaviour. At which occasion is it appropriate to wear a hat? When is it respectful to take hats off? Why did hats fall out of favour? Structured thematically with issues such as power and disguise, Clair Hughes explores both historical and contemporary styles, as well as their depictions in art, literature and film, with sharp historical insights and playful narratives. 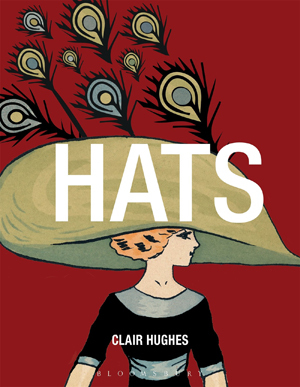 Including head-turning designs at world-famous horse races, the hat habits of royal family members, literary mad hatters and French high-fashion millinery by the likes of Poiret, Vionnet and Chanel, this is the authoritative guide to one of the most culturally rich accessories in fashion.